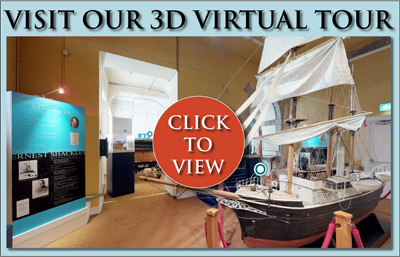 Contemporary Photography presents a Matterport 3D virtual tour of the Shackleton Museum at Athy Heritage Centre. 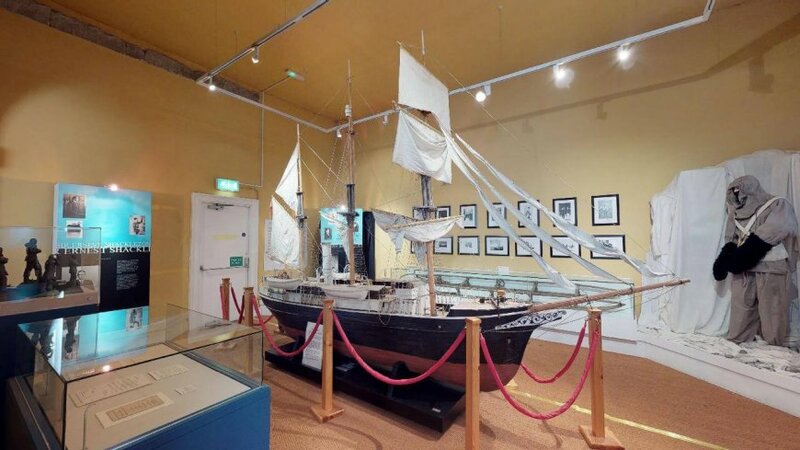 The world’s only museum to the celebrated Polar Explorer is located in the Heritage Town in South County Kildare. The Museum is the location for the Annual Shackleton Autumn School, held over the October Bank Holiday weekend. Contemporary Photography creates Matterport virtual tours of real estate properties, hotels, retail units and other commercial premises. 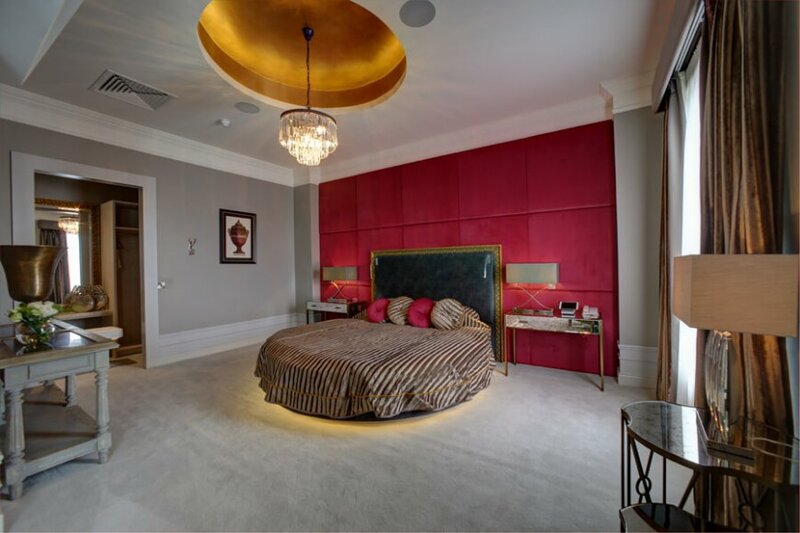 We can create 3D floorplans, 360 panoramas, and still photography images all from the same photo shoot. Matterport 360° virtual tours can now be deployed on Google Street View. Matterport virtual tours can be experienced in Virtual Reality by using VR headsets. Contemporary Photography is pleased to have been appointed as Matterport Service Partners to create Matterport virtual tours of real estate properties, hotels, retail units, and other commercial premises. Matterport 3D Spaces are more than 3D models or virtual tours. They’re a completely new form of immersive 3D media that invites you to explore a place as if you were really there. The International Virtual Reality Photography Association is an international association of professionals who create and produce 360° interactive, immersive images and video, also called 360° panoramas. Our members include professional photographers, videographers, programmers, web developers, designers, software developers, hardware manufacturers, artists, and enthusiasts, who produce immersive experiences. The IVRPA mission is to promote the success of Professional VR Photographers and Videographers. We strive to develop and support the professional and artistic uses of 360° panoramas, image-based VR and related technologies worldwide through education, networking opportunities, manufacturer alliances, marketing assistance, and technical support of our member’s work. The IVRPA was founded originally as the IQTVRA, the International QuickTime VR Association. The association was incorporated in the state of California on December 7th, 1998. In December 2004, the association changed their name to IVRPA to reflect our broadening technological field of immersive interactive imaging and was incorporated in the state of Massachusetts, USA. Contemporary Photography introduces another first. 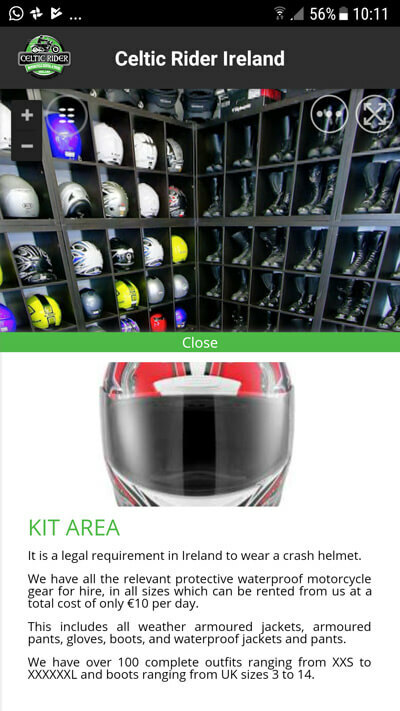 Every one of our clients can now have a 360° VR interactive App for their business. The App can be downloaded free from the Google Play Store and the Apple App Store. The App uses the 360° Interactive Enhanced Virtual Tour as a base. Video can be incorporated right into the App. Links are provided so that App users can book or buy straight from the App. Use the Tour Content Management System to update the tour contents 24/7. Edits are automatically applied to the content of the App. Free for users to download or Android and IOS. There is a modest one-off creation fee. Publication fees to Apple and Google included. These Apps allow a business to punch well above its weight. Contemporary Photography is the first business to supply these Apps in Ireland. Contact Us to order your App now. 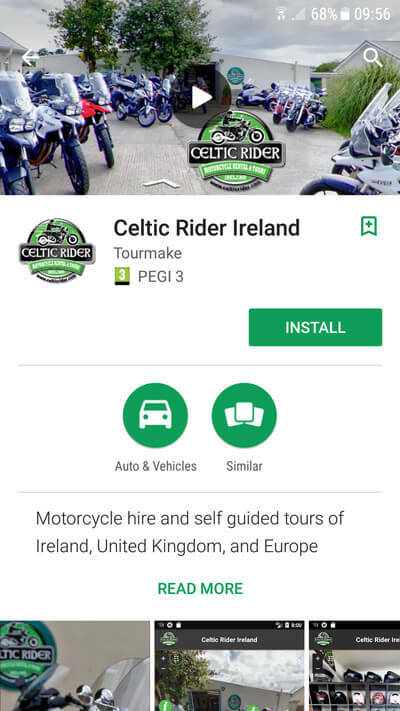 The Celtic Rider App is free to download from the Google Play Store and from the Apple App Store. 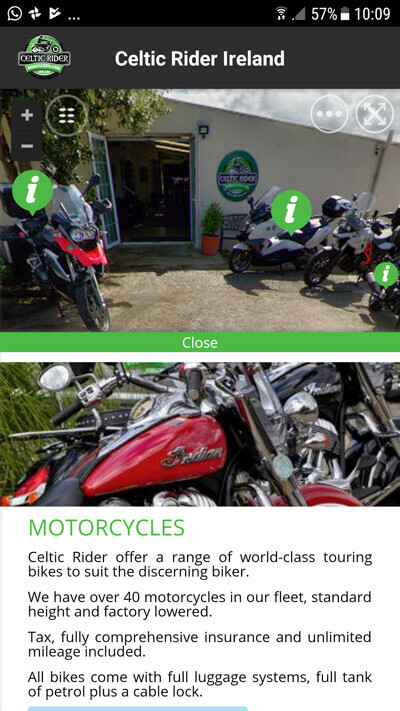 We have introduced an exciting new feature with our 360° Enhanced Tours. 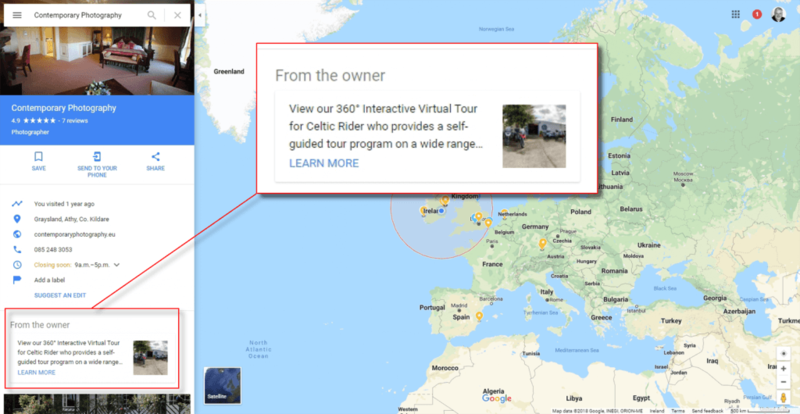 You can now publish the 360° Enhanced Tour to your Google Business account. The tour, complete with its drop-down navigation and information hot spots shows up in Google Search Results and on Google Maps. There is even a live link to take the visitor straight to the interactive tour. So potential clients are just one click away from doing business with you. Without exaggeration, this is one of the best developments we have seen in the world of 360° Interactive Virtual Tours for years. Previously only the Google version of the Virtual Tour (which lacks the drop-down navigation and information hotspots) was associated with Google Search and Google Maps. 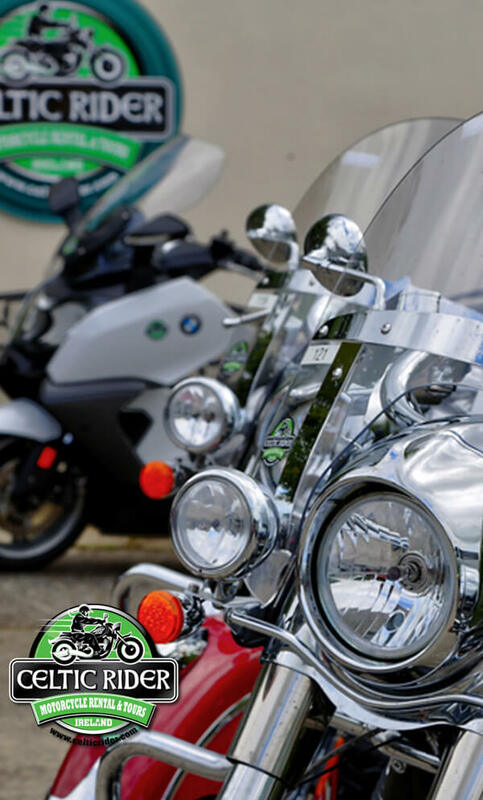 Now our clients have the best of both worlds with a link to their Enhanced Virtual Tour directly from Google’s search results. When people visit this 360° Enhanced Tour they find they have all the information they need, presented to them in a visual manner. 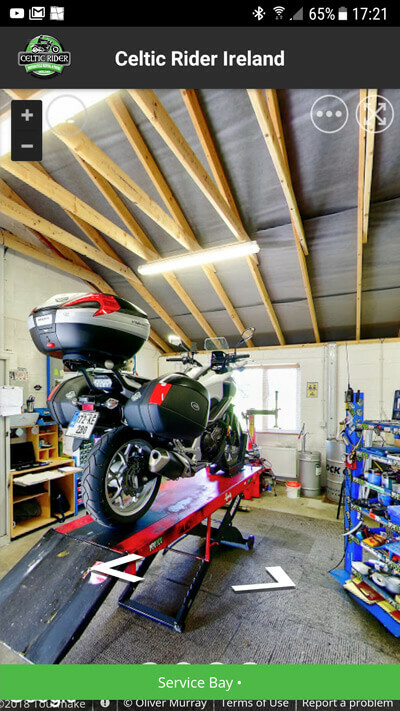 If they want to purchase or book a service they can do it from right inside the 360° Interactive Virtual Tour. AS a bonus the special Google edit of the virtual tour continues to show up on the image carousel. The image below shows how the post shows up within Google search. We have enlarged the section showing the link for clarity. The image below shows how the post shows up on Google maps. 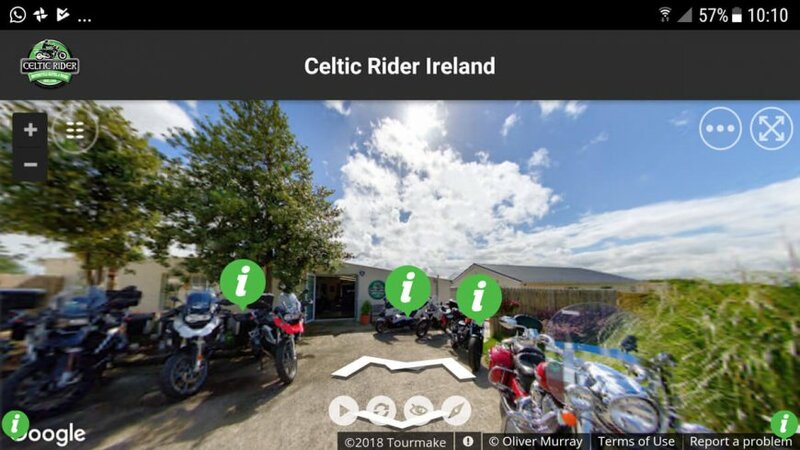 We attached the Celtic Rider tour to our own Google Business page to demonstrate the incredible value that this feature adds to a Contemporary Photography Enhanced Virtual Tour. The enhanced interactive 360° virtual tour features website-like drop-down menu navigation. The VR tour works with Virtual Reality Goggles so potential clients can visit the hotel virtually. Midlands Park Hotel in Portlaoise. 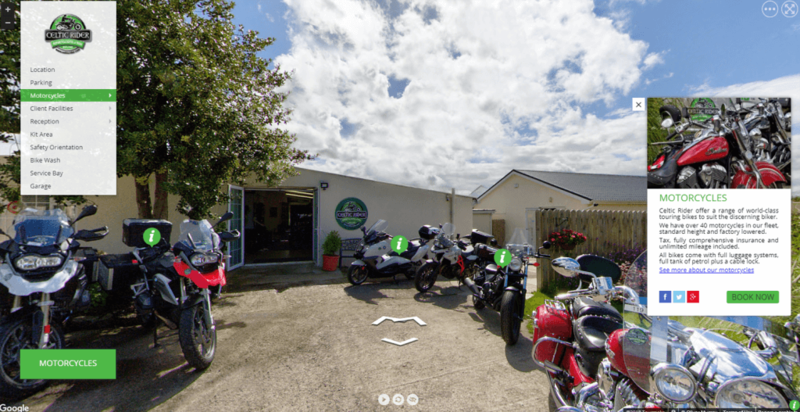 The Enhanced 360° Virtual Tour created for Celtic Rider showcases the motorcycles they hire and the facilities at their base in County Kildare. 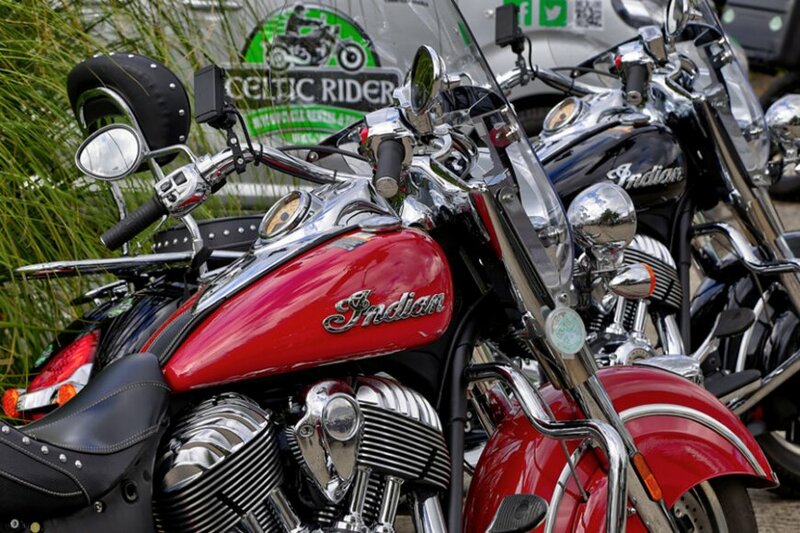 The award-winning company founded by Paul and Siobhan Rawlings supply motorbikes to Irish and overseas tourists wanting to undertake self-guided motorcycle tours of Ireland and England, Scotland and Wales. 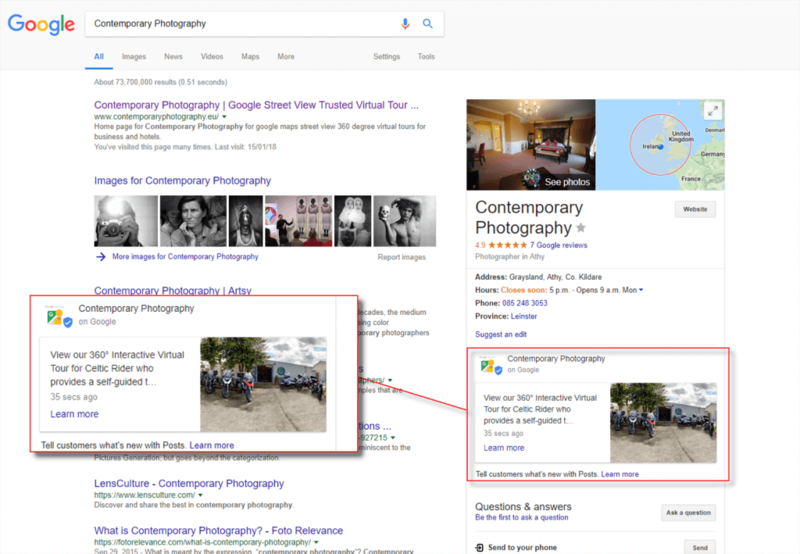 We are delighted to announce that Contemporary Photography has now been appointed as a Google Trusted Verifier. You should make it easy for people to find you with a properly optimised Google Business listing. This can help improve how your listing shows up when people are searching for your business, or businesses like yours, on Google Search or Google Maps. Google My Business makes it easy to create and update your listing—so you can be easily found, and bring customers in. The information you add to your Google My Business listing is automatically used to create your Google+ listing. Your Google My Business listing affects how your business will show up on desktop computers, laptops, tablets, iPads, and smartphones across all operating systems. Our Google Trusted Verifier status allows us to provide you with a service that includes the ability to verify a Google My Business page instantly on site. We can also help with duplication of Google+ pages and other issues relating to your listing. So now there is no need to wait for weeks for a postcard to arrive in order to get your business listing verified on Google. Ensuring that all the important information about your business is correct and consistently presented will help to improve your appearance on Google Search.